I wouldn’t want to be stuck in Tom Clancy’s mind. He’s the guy that comes up with scary, realistic stories behind some of Ubisoft’s top games, including the terrorist spread Smallpox vaccine on dollar bills during Black Friday for The Division. It did lead to a great game, though, so I’ll let him off. 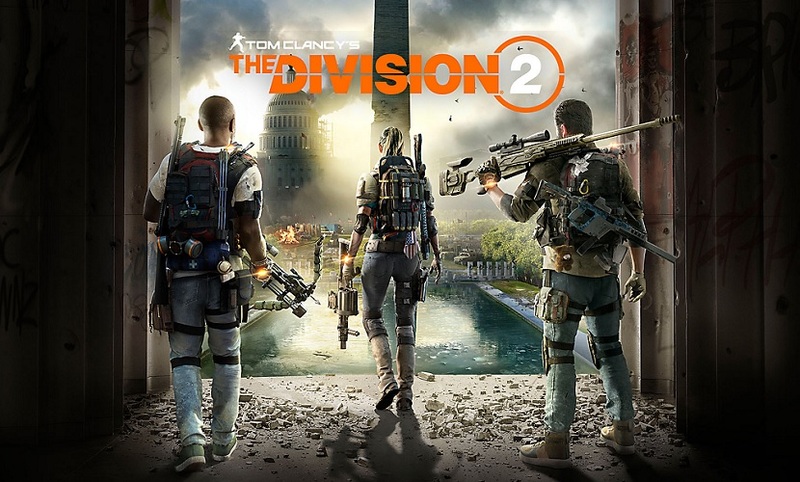 The sequel, uncannily titled The Division 2, takes place months after the events of the first game, where agents have battled to keep America safe but this time it moves the location from Manhattan to Washington D.C. the centre of their operations which is now under fire. What this means is that it’s a little more hectic from the off and there are some pretty amazing set pieces. The format, though, remains similar to the first game; find the safe house, do missions and side quests to complete. What has changed is the feel of the gameplay. Enemies feel fun to take down now, the game gives you more freedom to find new ways to clear an area and more loot to collect. There are a huge number of guns to choose from, each one offering something a little different. It feels more like you’ve got the power to take on the enemy but also that the enemy are that much more intelligent. Couple that with the cover-based set up of each area where you can be sure of something to hide behind while you throw out the lovely new turret gadget or use a bombing drone and it makes for a more interesting game. If you’re playing solo or with a group, The Division 2 offers plenty to get your teeth into. It’s built for team play but still feels good on your own. The story isn’t all that deep, it offers a similar set of mission based story bites as the first game, but it’s interesting enough to keep you playing. The mild RPG elements that offer skill, offence and defence upgrades give you more reason to hunt down loot to make use of them once they’re upgraded. There are some stunning looking scenes in this game, partly thanks to the nifty work that has been done on the lighting and water front. Puddles reflect realistically and ripple when you wade through them, light beams play through the trees and buildings. On the Xbox One X, which is where I played it, the game looks stunning while never letting up on the framerate. So I played through the story, got the end and then the game hit me with something unexpected. I won’t spoil things except to say there’s a whole other level there and it sort of pulls the rug from under you if you’ve been invested in the story so far. I’ve not managed to get many hours out of this yet, though, I’ve barely got through to the endgame, but it feels like a good payoff for getting this far. The Division 2 manages to build on the first game with more customisation, better AI and a more rounded game from launch. It may not encourage anyone who didn’t like the first game to pick this second one up, but it does more than enough to impress those who want to continue the adventure.